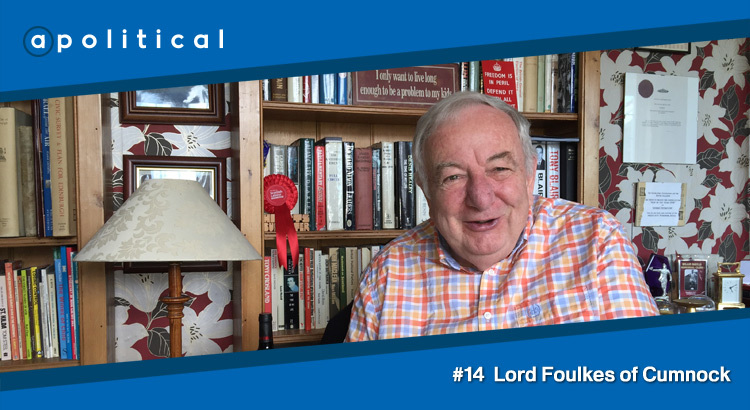 In Episode 14 of apolitical we speak with George Foulkes, the former Labour MP and MSP who now sits in the House of Lords as a life peer. We chat about his early involvement with politics; his views on Iraq, including the morality of regime change and where he believes criticism is due; the challenges facing Labour in Scotland; and his original definition of the term ‘cybernats’. • The original definition of “cybernats” (you might be surprised by this one…).